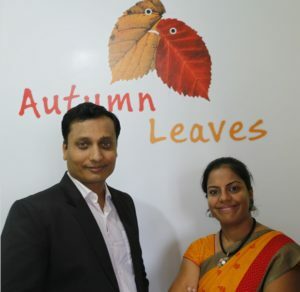 Autumn Leaves is a Bangalore based playschool founded by Sharat Khadri and Pallavi. They understand that how important are first few years of the child in their overall development. Our focus is on developing a hobby in each child based on their interest and every Friday is dedicated for the same. We got an opportunity to talk with Pallavi, one of the co-founders of Autumn Leaves and see what she has to say. I am sure her interview with us will inspire you. Autumn Leaves, a preschool with a difference. We take care of the overall development of the kids in true sense. The curriculum is an integration of Montessori and kindergarten methods of teaching. We provide exposure to regional language (Kannada) from the playgroup level itself. We sensitise kids towards nature by making them grow their own saplings. Our focus is on developing a hobby in each child based on their interest and every Friday is dedicated for the same. Various methods are used to find the child’s interest area. We believe that first five years of a child’s life are most formative and a strong foundation is very important for a bright future. Keeping this in mind, our analysis cards of the child do not speak only of the grades or quantitative aspects but also of the qualitative aspects in a very detailed way. Our inclination towards educating the next generation with values and forming a strong foundation in them made us take this step. Most of our kids have lost the touch to the regional language and are not sensitive towards nature. For instance, my own daughter showed me that a touch me not plant folds up, by literally stamping it. I had to explain her that it is just enough to touch it to see the folding up. We want them to understand the softer aspects of the society and hence as mentioned our focus is on language, hobby and sensitivity towards nature along with the best in class curriculum ensuring that the kid is ready in all ways for a great beginning! We, Sharat and Pallavi are a team of two who started Autumn Leaves preschool. I, Pallavi have done my B.E from BMSCE, Bangalore. I was then campus placed in Samsung and worked there for six long years as a software developer. My second job was that of a full time homemaker mother. Yes, I quit my career when my little bundle of joy came in my arms. I spent almost 3 years just raising her and enjoying every phase of her life. Then, I decided it is time to go for my dream which was always entrepreneurship. I then took up the franchise of a leading brand of preschool for a year and half. This did not give me what I was looking to do exactly for various reasons. And hence in October, 2017, came the thought of Autumn Leaves!! Sharat, has done his MBA from the FORE school of management. He pursued a decade long career in Sales and marketing in the FMCG and telecom industry. He was always a top performer in big brands like Nokia, Coke, Red bull. A youngest Regional sales manager achieving targets beyond expectations had a craze for directing movies! Yes, that’s right. He actually did this along with the tough corporate career and directed couple of feature films in Kannada industry. He then had this urge of being a serial entrepreneur. Apart from his media production company, he started a business networking organisation called ‘Business And Beyond’ and an instant food mix brand called ‘SUCO’. Glamour, networking and food – guess this versatility was not enough and hence he got into the field of education with ‘Autumn Leaves’! We are based out of Bangalore. It’s a city flooded with young couples thanks to the Booming IT Industry and hence scope in the field of early education is immense. Moreover, parents are open to new ideas in Preschool education. Being a cosmopolitan city, we believe that if our methodology and curriculum suits to this market, we can adapt and implement this successfully in other cities in India without any hesitation. Apart from the usual nightmares of how to grow the business, we faced a new challenge of women entrepreneurship. Preschool education is mainly a business for women. We never thought encouraging women to get into this field which is their default strength, has immense respect and is a clean field will be such a big challenge! Though we talk of Women entrepreneurship and the benefits and support the Govt is offering for women in India, we feel the support for a woman from the family is still missing. She is still seen as a resource for doing all those things of bringing up the kid, cooking meals for the husband and family, take care of the medical needs of her in-laws, etc. the society is not conducive to create an environment wherein a woman can dream for her professional success especially as an entrepreneur. A woman is in most cases not allowed or encouraged to dream of an entrepreneurial career as it is still thought to be an adventure that the Man can only attempt at. We talk of various parameters to evaluate the country’s Growth but we wonder if the support extended to women in each family should also be in someway measured and evaluated as a measure of the nation’s growth. Preschool industry is almost 2 decades old now. On one side we have the top brands, the national players and on the other side, we have lots of standalone brands which are doing good for 4-5 years. We have started with a vision to make our self a leading preschool brand. We believe that a good team can make the growth exponentially fast and hence we ensure a strong support to all our franchisees and the staff members. The nationalised brands find it difficult to bring about the sudden regional requirements like the language introduction in their curriculum and the stand-alone brands do not have the vision or scale to provide an affordable price. We are aiming at the overall development of a child in the true sense. Very hard especially being a woman. It can be done only if your zeal and spirits to excel in your entrepreneurial journey are immense and undeterred. I am managing it as I don’t want to hold anyone responsible for not letting my dreams come true. My success or my failure has to be only from my efforts or lack of my efforts and not due to any external reasons. Hopefully, with time the work life imbalance would settle! No. We believed that our business will fund itself and has been true till date. Though it took long hours, we have chosen all our vendors in a very economical way. We did not hire lawyers to make our agreements, designers to make the logo or in school branding art work, agents to make our PAN or trademark registrations or company incorporation. We did it all by ourselves! Yes, it took a little bit running around but we believe that every penny saved, is a penny earned! We are a start up and hence people take time to understand our vision and intents on quality of education at affordable prices. We have to prove ourselves for people to develop the trust and see our vision our ways! The thought that we could empower women through the franchise model and also give quality early education to the little ones makes us excited about this business. My day begins by snoozing the alarm a couple of times before I finally wake up at 5:30 AM. An hour in kitchen, making sure my husband has his breakfast, fruits, lunch and snacks packed before he leaves at sharp 7AM. I get my daughter ready after that which involves a long pampering to ensure she wakes up fresh and happy. I drop her to the school bus at 8:15 and then depart for my preschool within 20 minutes. I need to take my students along with me and hence cannot be late. So, if my daughter’s bus gets late even by 5 minutes, I need to sacrifice on the breakfast! Luckily I travel only 4 kms with the little one chirping around me in my car. A day at school can be a roller coaster at times. My day at work normally ends up at 7:30 PM and then back home. Some daily chores to be finished at home before hitting the bed at 10PM. The only time I relax peacefully is during my small walk with my favourite music at my favourite volume and this generally happens at the end of the day or early in morning which helps me plan and think about what I am doing. We are a team of two! The best part of our team is that our strengths are complementary and hence there is no point of conflict of interests or any issues between us. What one knows, the other one does not and hence together we complete the team! One being a techy and the other from sales and marketing, a man and a woman, I guess it could not have been any better. Along with these differences, our thought process is same! Both of us have same thoughts on expense, a very critical part of a start-up. There have been no conflicts starting from naming the brand to article in Bangalore insider! Touch Wood!! We are neighbours and the only interaction we used to have was a “Hi” in the lift! Sharat always wanted to get into the education field, I was already a part of it. I was running franchise of another preschool brand. We got into the initial phase of discussions and realised we were a great team and can take this further. 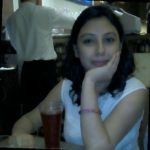 We finalised our thoughts in late October’17, incorporated our partnership firm in first week of December’17, launched our first preschool center on 26th January, signed our first franchise on 3rd March, launched our second center in third week of March and here we are talking to Bangalore Insider in May!